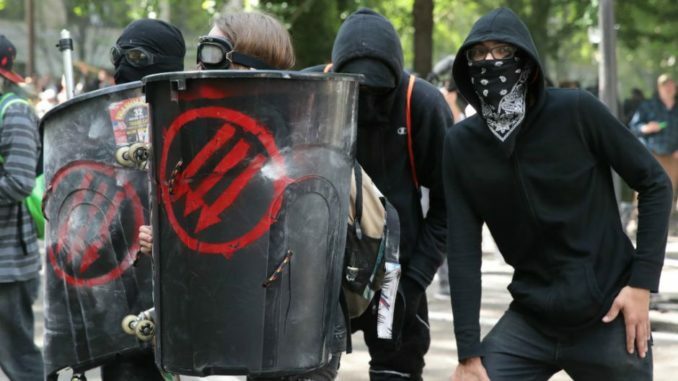 A mob of Antifa terrorists attacked a group of hispanic marines in the Old district of Philadelphia, Pennsylvania, on November 17th, court testimony reveals. Marines Alejandro Godinez and Luis Torres were visiting historical landmarks near Front and Chestnut streets when Tom Keenan – the leader of Philadelphia’s Antifa movement – and fellow terrorist Thomas Massey approached them. Breitbart.com reports: The Marines were in town with other members of their helicopter unit in order to attend a local Marine event. The judge ruled that both men would be held for trial on felony charges of aggravated assault and conspiracy, along with several misdemeanors. This will be far from Keenan’s first time in legal jeopardy. As part of the “Love Park 4,” Keenan was charged with criminal conspiracy, institutional vandalism, resisting arrest, and criminal mischief. At the time, Keenan only pleaded guilty to “disorderly conduct,” and the remaining charges were withdrawn. Keenan and Massey will have their day in court on December 27.